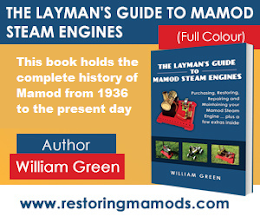 As you would have seen in a previous article, I recently purchased two Mamod traction engines and a wagon trailer to restore. From the pictures, it was clear that the engines were going to take longer to restore. Therefore, I first restored the trailer. When I first got the trailer, it was in an average condition. The paint needed respraying with all metal parts needed polishing. Thankfully, the restoration project was not too difficult. The only challenging part was taking the hub caps off to get the wheels off. The hub caps had most likely been on since it was first produced which means there will be a lot of rust. It is also clear that Mamod intended for the hub caps not to come off. Therefore, you have to be careful when removing them seeing that if you put too much force into taking them off, you will break them. The trailer is now looking near mint condition with every wheel sparkling. The only downside to the trailer is the steel rod which is hard to make shiny. Putting this aside, it still looks very nice.